A.I. or die! What is your A.I. status? A.I. is THE buzz word right now. Even the biggest newspapers and magazines write stories about what the future will look like now that we are definitely entering the age of A.I. In case you do not have a clear picture of what is coming have a look here: Pawel Sysiak wrote an excellent piece on what A.I. actually is, what scientists and practitioners believe where it’s going, and on the opportunities and dangers of this technology. Though A.I. is today’s buzz word, I believe that the buzz should be even bigger and louder as this is the next big technology shift. Similar to the advent of the internet, definitely much bigger than mobile. And it is happening right now. A.I. has quite a history already. It has not always been called this way. I spent most of my professional life working with data. When I started people used to call it data mining — which is a term with a broader meaning. But we carried out projects as data mining that you would probably label A.I. today. Then there was Big Data (we raised our first VC round inside the Big Data buzz). No doubt, Big Data is still alive but there was a time when an excel table too long for the screen to show was called Big Data and projects you would today label A.I. were categorized (and budgeted) as Big Data projects. Then there was predictive analytics. I like this term as it is precise. But it doesn’t sound fancy, does it? Although Gartner helped coining the term as they introduced it to the Hype Cycle it never really clicked with the customers. And now it is A.I. And now A.I. seems to be everywhere. A.I. will become part of our everyday lives. I guess, it has already become part of our lives. It is just that we quite often do not understand this. No matter if we can see it or not — the A.I. revolution is in full swing. * In a situation where the outcome is superior to what humans are capable of. * In a situation where there are many decisions to be made in a very short time, so that humans would simply not be able (at least not economically viable) to make all these decisions. I guess we could compile an endless list of examples here. A bit later I will pick a few applications from the sales and marketing space as this is what I am most familiar with. Well, sales and marketing. This is definitely a space where we will very soon see the first players leave the arena if they do not learn to make use of A.I. quickly. 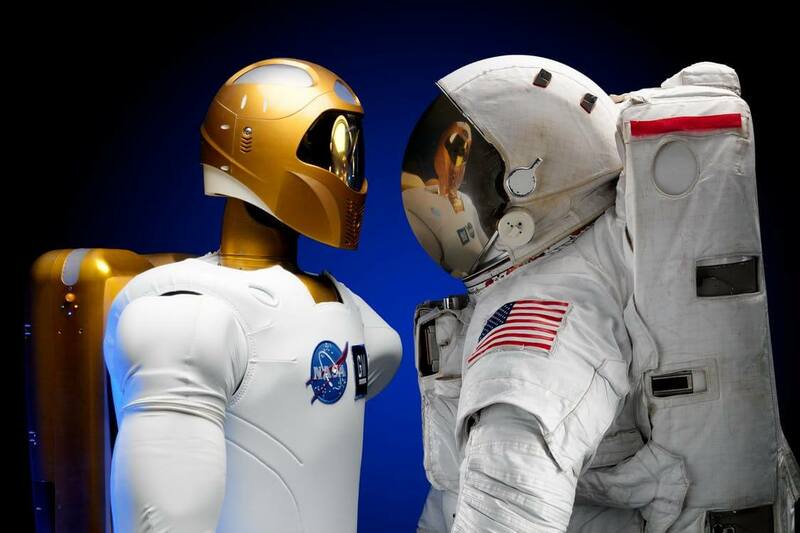 This space is highly interesting to observe as there is room for making many many decisions at a time AND making them better than humans through A.I. If you just quickly browse through your inbox you will find many obviously mass mailing newsletters without any targeting. This was state of the art a few years ago and it is still good practice to manage these mailings efficiently and that’s fine. But there are more and more players out there that improve their messages. Better timing, better content, better offers. And they do this through A.I. With thousands of customers in the database it is just not feasible to decide manually what to offer to every single customer in the database. This is one of the two scenarios above. And then what could we as humans do to create better messages for the recipients of our newsletters? Well, we don’t know most of them, do we? We could browse through their shopping history. Through the history of other, similar customers. Honestly? Look through millions of rows of data and try to make any sense of that? Doesn’t sound like an exercise that was designed to make humans excel. Yeah, so, in marketing the second scenario applies as well. A.I. will not only be able to make all the decisions in time but it will also be able to make them better. You might think why not make use of A.I. then right away? The problem is that A.I. is in most use cases not readily available yet. I believe that the most common approach still is to invest in an expensive hardware and software stack and then build a highly specialized team of data scientists. While the stack is mostly a matter of budget and taste it is quite a challenge to find those data scientists as all the world is looking for them (a big “thank you” to some of the very best in this field that joined our company!). Not many vendors are offering something this easy yet. Often you will find a predictive feature where you can build your A.I. yourself. This can be anything between building your own stack and team and a truly readily available A.I. solution. One of the trailblazers in this field is Salesforce. Just recently Salesforce introduced their A.I. engine which they call Einstein. That was during Dreamforce 16. Einstein is Salesforce’s promise that A.I. will be accessible to everyone. All of you who have ever worked on the data and the algorithms necessary for A.I. know that this is quite a statement! They showed quite a few of the features that are available. And the things they show are super-impressive. I mean, what they deliver might not be anything new in terms of computation that is being done in the background — it is the ease of use that is overwhelmingly beautiful! There is absolutely no data wrangling, no worries with your software stack where the different versions of the modules do not want to talk to each other and all this. A thing of the past! I guess this is just the starting point. I believe that Salesforce will step by step cover each and every single decision point in a customer’s journey by A.I. capabilities so that their customers can really make use of the entire potential inherent in their customers database. This is a huge game changer! This will accelerate the process of having to adopt to the A.I. game in a way not anticipated by most. And those that lag behind will really have a hard time keeping their business viable. The competitive advantages for those that make use of A.I. properly are just too big. And Salesforce has just fast forwarded their customers into pole position. So, where are you in terms of A.I.? Don’t worry if you haven’t even started you. Just don’t wait anymore. Gpredictive is an intuitive statistics software that serves one single purpose: building predictive models for the customer journey fast and easy. Gpredictive completely reinvented the way predictive models are built. As a data scientist enjoy defining the properties of the predictive model in the sleek model builder section. Should you need to dive deep into the data, you can do so in the expert section of the software. This new approach allows for scaling the data science expertise for the very first time.